Apogee will sponsor the 2nd symposium in extracellular vesicles organized by GEIVEX (Grupo Espanol de Innovacion e Investigacion en Vesiculas Extracelulares). This meeting on 9th & 10th October 2014 in Tarragona will focus on recent advances in Extracellular Vesicle research. 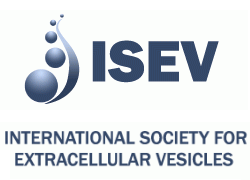 Apogee is sponsoring ISEV 2014 which will take place in Rotterdam from 30th April to 3rd May 2014. Visit our stand for the latest product and company news. Histogram Software v120 and PC Control 3-40. These new software releases are available to all Apogee research customers and include important bug fixes and a new ROI statistics window. Contact info@apogeeflow.com for the download address and password. In collaboration with Bio-Port Europe, Apogee will introduce its contribution to small particle flow cytometry at the Czech Society for Analytical Cytology meeting in Mikulov, Sept 21-24, 2013.